Opening this weekend is Will Gluck‘s modern reimagining of the Broadway classic Annie. The film stars Quvenzhané Wallis (Beasts of the Southern Wild) in the title role as a young, happy, street-tough foster kid living with the mean Miss Hannigan (Cameron Diaz) who is taken in by New York mayoral candidate Will Stacks (Jamie Foxx) in a thinly veiled campaign move. The film also stars Rose Byrne, Bobby Cannavale, Adewale Akinnuoye-Agbaje, and David Zayas. 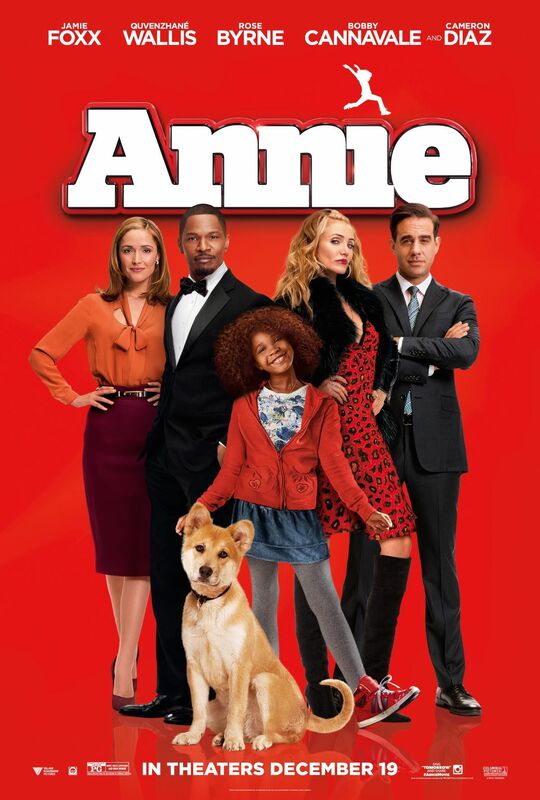 For more on Annie, watch the trailer or these five clips and eleven minutes of behind-the-scenes footage. At the recent New York City press day I landed an exclusive video interview with Cameron Diaz and Bobby Cannavale. They talked about collaborating with Will Gluck, contemporizing the film, the new songs, if a lot of friends that wanted to visit them on the set, how much fun they had making the film, and a lot more. Hit the jump to watch. Some shoots are tough. Was Annie a lot of fun to make? What was it like collaborating with Will Gluck? Diaz talks about contemporizing the film. Did they have a lot of friends that wanted to visit them on the set? Did they ever get sick of the songs? Cannavale talks about his upcoming HBO show.